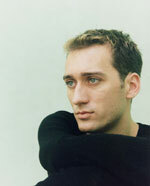 The Guardian described Paul Van Dyk as 'a politically active DJ who preaches a strict anti-drugs message' this week, in an article angled around him winning DJ Magazines' Top 100 poll. "Nobody needs drugs to get into music," Van Dyk told the newspaper, "I think people mostly take them out of insecurity." Chatting to Skrufff several years ago, however, PVD was more sympathetic towards drug users, and equally critical of zero tolerance style anti-drug policies. "People usually take drugs because they want to escape the real world but if the real world is great then they don't need to leave it," he said. "If you want to reduce drugs problems and create a healthier environment, then you have to do it on a whole social level: to go in to schools and explain to people what they're doing to their bodies." PVD also criticised Rudolph Giuliani and Michael Bloomberg's crusade against clubs, suggesting both Mayor's policies were based on ignorance rather than sense. "All they see are kids running around like headless chickens at six in the morning in Manhattan, so in their minds, the easiest thing to do is to close down the venue," he said. "That's a poor decision, because if kids want to take drugs they'll take them somewhere else."